Earlier this year I decided that I needed more power in my production machine. The 2017 fully loaded Macbook Pro, much to my dismay, was not cutting it and I wasn’t even doing 4K videos. When faced with the option of dropping $5000+ on a new iMac Pro (which I could not afford to do), or spend half of that on a PC, the decision was pretty easy…I was switching to Windows. Here are my thoughts on the transition so far. Let me get this out of the way first: I still have a Mac. I sold my Macbook Pro and used the money to pay for a 13” Macbook Pro + Apple Care, and I put the rest towards the PC. I’m too embedded in the Apple ecosystem to fully let go of macOS, there are still apps I prefer to use on the Mac, and I still travel and would like a laptop for that, despite trying to convince myself I can work completely on an iPad. It’s own by Dell which, say what you want, is a trustworthy company that can do business at scale. 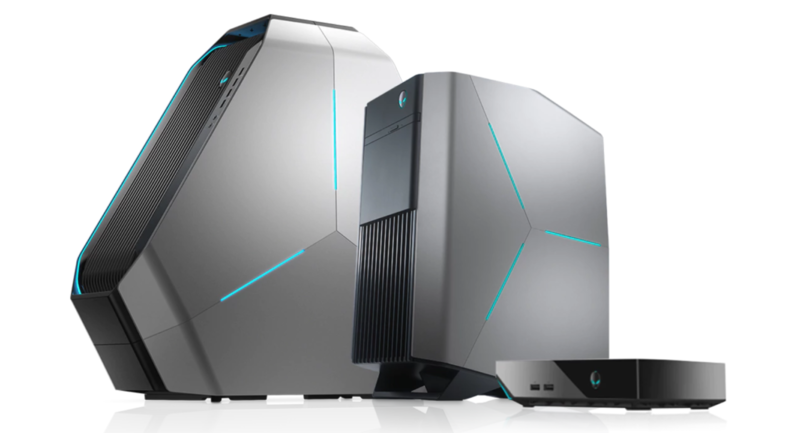 When I tweeted that I was going to get an Alienware, lots of people had lots of opinions on where I should actually get the machine, and that’s all fine, but I feel I got the best deal from a company I actually heard of (plus, not for thing, but I didn’t ask). Several months in, and some heavy lifting being done along the way, I’m happy. Choosing the hardware was a little tough because I’ve been out of the hardware game for a long time. I was big into fixing and building/upgrading in my late teens but haven’t done much of it since. And especially since going to Apple, I knew I never had that many options, so I just picked the best for what I needed. Luckily my friend Tim shared this great guide with me, so I used that as a jump off, then made adjustments based on budget and availability. 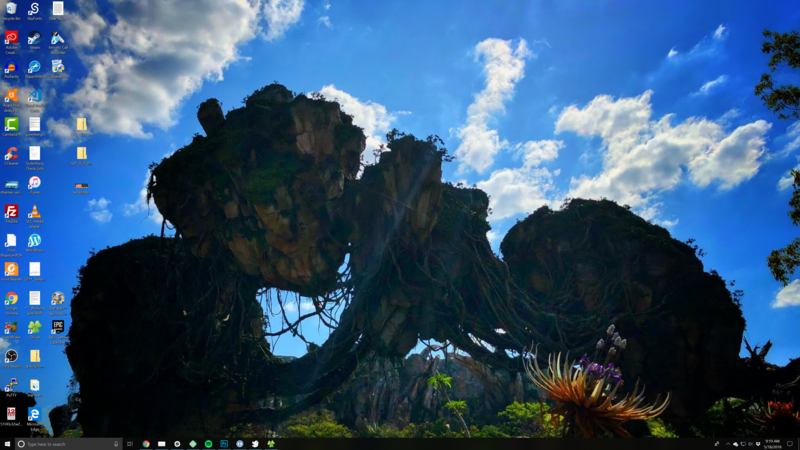 This is Pandora at Walt Disney World. It’s breath-taking. Just about everything else has a Windows or web equivalent, including most native iOS apps through iCloud.com. For Bear Notes, Ulysses, and Things, I decided I’d switch between the Mac and the PC. My monitor and my keyboard support 2 devices so switching is easy enough. But I did need to find replacements for editing. I tried Camtasia for Mac when I first started editing video because I used it a little in college. But I wasn’t happy at all and switched to Screenflow. 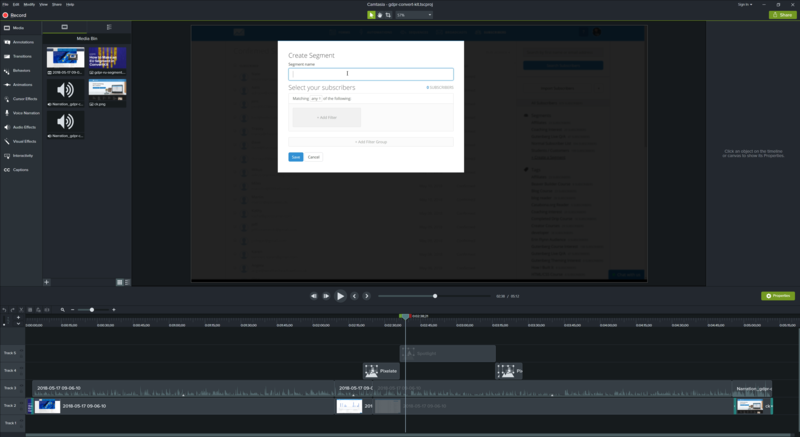 Funny thing though, Camtasia for Windows is so much better than its Mac counterpart. It does choke a little sometimes when I do big videos, but otherwise, I’ve gotten used to the changes and it fits nicely into my workflow. I don’t do too much audio editing. I have an editor that does all the heavy lifting for me. My job is basically to add background music and bumpers, and I want those tasks to be really easy. Audacity doesn’t make it really easy. I went with it because it’s free and lots of people use it, but I’m simply not happy with it. Since the show is on a short break for a couple of weeks soon, I’m going to explore other options. Local by Flywheel. This is my local setup on Mac, so it was an easy switch. Since I’m doing screencasts, having a dev environment is important and this made it easy. I was able to do all of this quickly thanks to the nifty installer Ninite. There are a few things I love about macOS that are missing from Windows. Easy screenshots, a universal color picker, Terminal, and some other goodies. I had to find a way to get those on Windows. I don’t need to rehash that process here, though, because I just read this blog post. 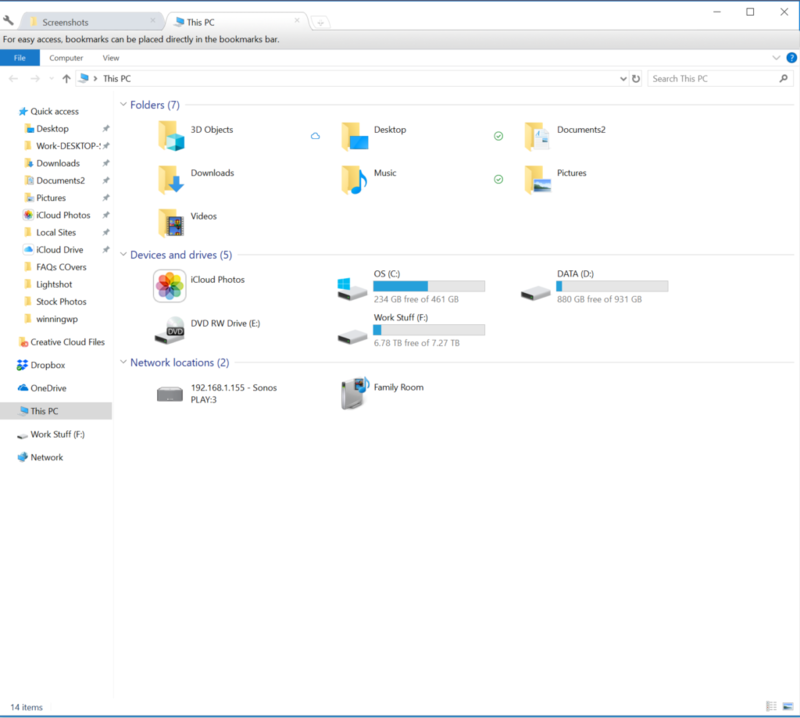 The only thing missing from this post is tabbed File Explorer, which I got using the app Clover. I was having issues where Windows 10 was crashing when I first got it. I was worried there was a hardware issue like bad RAM and I didn’t feel like lugging a desktop wherever I needed to. Luckily, Microsoft has some fantastic diagnostic tools that I ran, updated what I needed to, and everything has been smooth sailing. One app I haven’t found a replacement for is Alfred. I love that app – especially the clipboard history. I tried something for Windows called Clip Diary but it was clumsy at best. I really wish there was a unified UI. The place I notice pixalation the most is with the installers, but there are some areas of Windows that are downright ugly. It’s not really Microsoft’s fault, but it does take away from the experience. The Twitter clients are not nearly as nice on Windows as they are on Mac. …there are a few things I’d like to try. The first is addressing the issues above. I’d really like to dress up the Windows UI a bit more. Right now it’s pretty out-of-the-box, which is fine, but it can be better. I also wanted to learn a new audio editing tool. I’m thinking Pro Tools, on a recommendation. Finally, I want to make switching between the 2 machines more seamless. I can use my monitor’s KVM switch for that, as well as look at a NAS for network storage. Right now my big backup drive is plugged into my PC and I have a smaller drive for Time Machine backups on the Mac. I would like a drive that I can access on the network, as there have been times I’ve had to move something from my big drive into Dropbox to get it on my Mac. I thought I’d have a harder time than I did switching to Windows but it’s been pretty great. I haven’t done much gaming but that’s another (non-work related) thing I’d like to do. Are you thinking of making the switch? What’s holding you back? If your iMac and PC are right next to each other, Synergy is a nice app to share a keyboard/mouse as if they were the same PC with multiple monitors. For a NAS I like Unraid, I’ve got 10TB of networked storage. I’m not fond of the cost of having to run real raid at home and the pains I would go through in order to manage/expand it as I grow my NAS. With Unraid I can just keep adding drives as well as some other nice bonuses like Docker and VMs all with access to that large NAS. My Unraid box has 5 HDDs (3x 4TB HGST NAS, 2x WD Blue – both to be replaced with HGST drives) and 1 SSD to make write speeds that much faster. Couple of more specific tips. Replace Filezilla by http://www.crossftp.com … as its 10-20x faster. Ninite is indeed great, but it has come of age. Have a look at https://patchmypc.net instead … also free, but substantial more free apps and has scheduled unattended updates. Easy screenshots? Personally prefer SnagIt, but last week ran into this freeware tool: https://getsharex.com … which has features that are jawdropping really. And as I see you have a pretty big monitor this might be nice to have a look at too: https://www.displayfusion.com .. to get a more unified feel.